The Psychological War for Vietnam, 1960–1968, for the first time fully explores the most sustained, intensive use of psychological operations (PSYOP) in American history. In PSYOP, US military personnel use a variety of tactics—mostly audio and visual messages—to influence individuals and groups to behave in ways that favor US objectives. Informed by the author’s firsthand experience of such operations elsewhere, this account of the battle for “hearts and minds” in Vietnam offers rare insight into the art and science of propaganda as a military tool in the twentieth century. 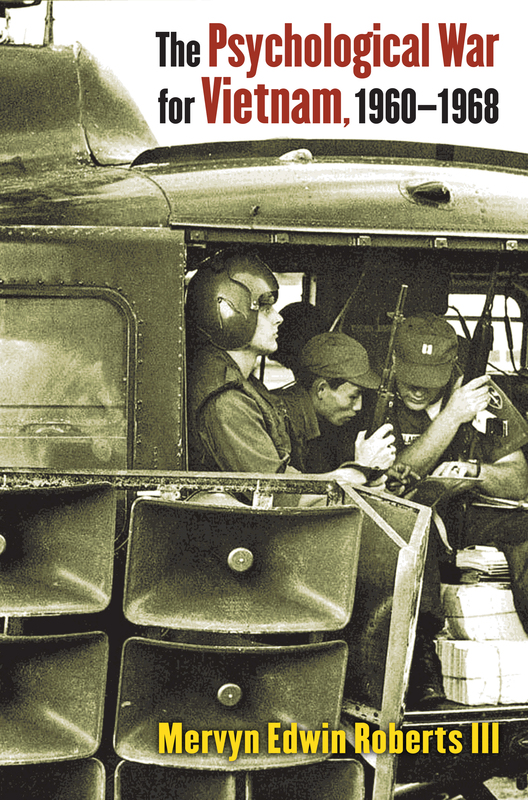 The Psychological War for Vietnam, 1960–1968, focuses on the creation, capabilities, and performance of the forces that conducted PSYOP in Vietnam, including the Joint US Public Affairs Office and the 4th PSYOP Group. In his comprehensive account, Mervyn Edwin Roberts III covers psychological operations across the entire theater, by all involved US agencies. His book reveals the complex interplay of these activities within the wider context of Vietnam and the Cold War propaganda battle being fought by the United States at the same time. Because PSYOP never occurs in a vacuum, Roberts considers the shifting influence of alternative sources of information—especially from the governments of North and South Vietnam, but also from Australia, Korea, and the Philippines. The Psychological War for Vietnam, 1960–1968, also addresses the development of PSYOP doctrine and training in the period prior to the introduction of ground combat forces in 1965 and, finally, shows how the course of the war itself forced changes to this doctrine. The scope of the book allows for a unique measurement of the effectiveness of psychological operations over time. Mervyn Edwin Roberts III is a professor of history at Central Texas College and a reserve instructor at the Joint Special Operations University at MacDill Air Force Base in Tampa.